Lots of geese around this weekend: several hundred at Onuma. Mainly White-fronted Geese on Sunday and mainly Bean Geese (above) on Monday. They were very wary and stayed out in the middle of a big ice-free part of the lake. 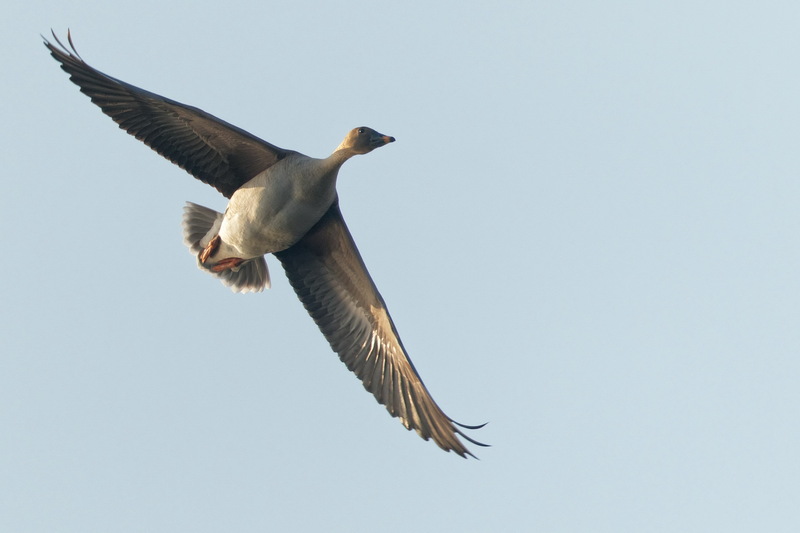 Not many photo opps……..
One thing I’ve been doing religiously with geese flocks over the years is check for rarities. Snow Goose, Lesser White-fronted Goose and Cacckling Goose are the 3 possibilities. 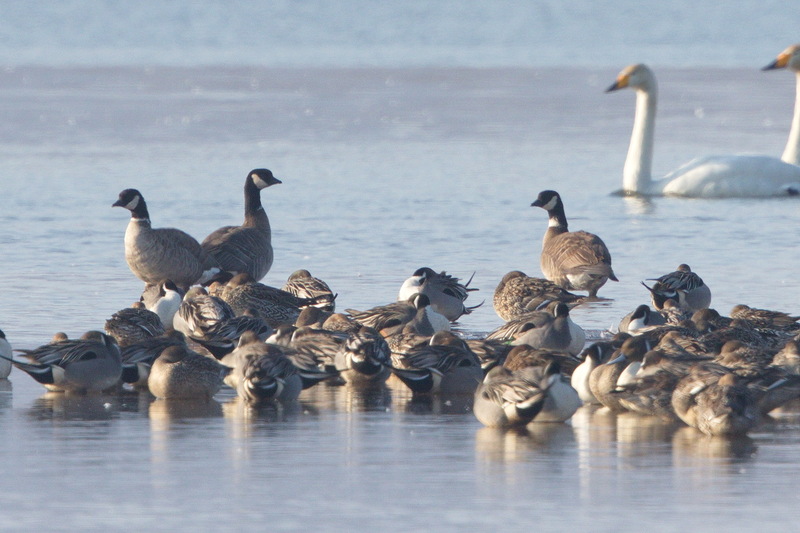 Until yesterday I’d always drawn blanks but look what I found…………..
3 Cackling Goose in among all the Pintails. A totally crappy record shot but my first lifer in over 18 months! A White-tailed Eagle flushed the wildfowl and the 3 birds disappeared and I couldn’t relocate them. At least I got a record shot. Also in among the wildfowl were several Baikal Teal, also too far off for any pics sadly.